Clara Olivares (b. 1993) is a Franco-Spanish composer. After studying the piano at the Conservatory of Strasbourg, she entered the composition curriculum with Mark André in 2011, then continued studying with Philippe Manoury, Daniel D’Adamo, Thierry Blondeau and Annette Schlüntz. She also received advice from Chaya Czernowin, Philippe Schoeller and Alberto Posadas. She holds a master’s degree in composition from the Académie Supérieure de Musique in Strasbourg and a bachelor degree in musicology from the Sorbonne University, as well as a Diploma of Musical Studies in Piano and Chamber Music. She is currently enrolled in the Doctoral Program in Music Composition at UC Berkeley. She obtained the Sacem Prize in 2013 for her Diploma of Musical Studies in composition which she graduated with the highest mention. She was awarded the Michelle Foundation’s Music Composition Award in Luxembourg in 2015. She was performed at the Musica Festival in 2015, 2016 and 2017, as well as at the Impuls Festival (Germany) and the Musique-Action Festival. Her work with electronic music is mainly focused on real-time treatment on voice, especially in the opera. At 23, she wrote her first opera for chamber ensemble, live-electronics and puppets, Mary, for which she obtained an « aide à la création musicale » from the Ministry of Culture. It was created in 2017 by the Ensemble XXI.n. Her interest for live-electronics has started with her lessons with Tom Mays in Strasbourg, as well as during the Computer Music Course for which she was selected during Manifeste Academy 2015 at Ircam; she is now following her researches and experimentations at CNMAT (UC Berkeley). 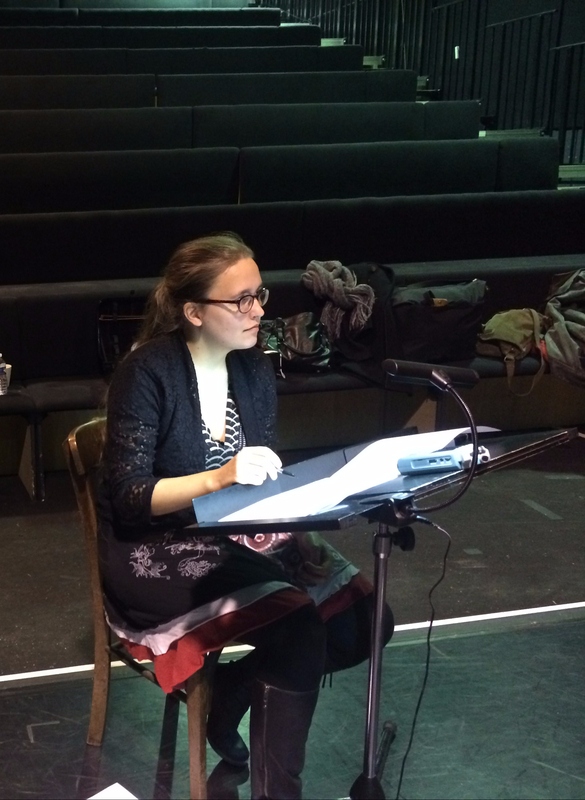 Her Master dissertation was titled “Augmented opera: an extension of traditional opera” (2016) and she wrote an article, “Lyricism and live electronics: the extension of the voice as an instrument in the service of a new dramaturgy” in parallel of her composition work on her opera. She was performed by Ensemble Fonema (USA), Ensemble Lucilin (Luxembourg), Duo Atomos (Brazil), Orchestra Mitteldeutsche Kammerphilarmonie (Germany), Orchestra Philharmonique de Radio-France, Ensemble Vocal Voix de Stras’, Ensemble Imaginaire, Ensemble Vocal L’Arrach’Chœur and Ensemble MO (France), and also Jean-Frédéric Neuburger, Philippe Hattat, Daniel Ciampolini, Minh-Tam Nguyen, Marie-Andrée Joerger, as well as other interpreters of her generation. Her music has been performed in the United States, France, Germany, Finland, Brazil, Venezuela and Luxembourg. It has been broadcast on the radio (France Musique, Radio Accent 4, Radio Nacional Española), and two of her compositions are published by Editions Alphonse Leduc.